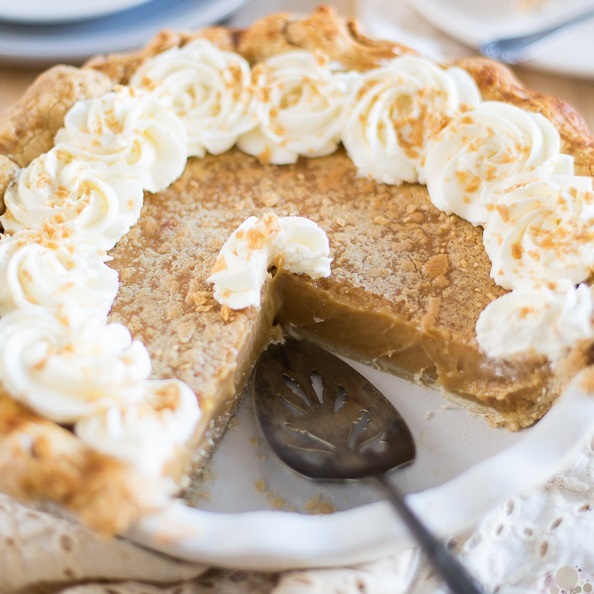 This is probably the best darn Brown Sugar Pie ever: so smooth and silky and creamy and sweet… every single bite is pure bliss. 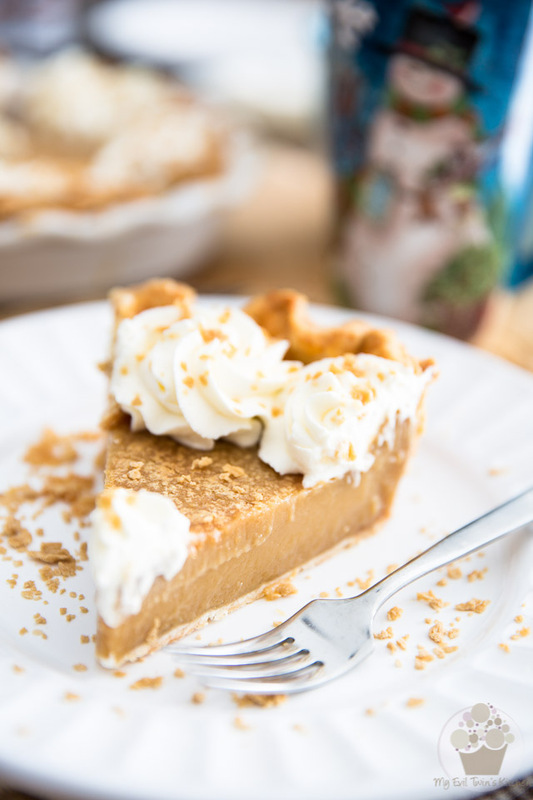 In this household, no Christmas would be complete if it didn’t involve a slice of Brown Sugar Pie at some point. Said slice usually gets eaten first thing on Christmas morning, accompanied by a nice cup of Amarula Coffee; I usually bring it with me to the living room and feast on it while I watch the kids gleefully unveil the content of their Christmas stockings. This would be one of my ultimate favorite moments of the year, and I just couldn’t imagine ever giving it up. Oh, I have done without the pie for a couple of years, but it simply just wasn’t the same. Something was missing, big time. So I figured hey, if I’m only gonna have sugar pie once a year, I don’t think it can be all that bad. It makes me happy, it makes the kids happy. So I say let there be pie. 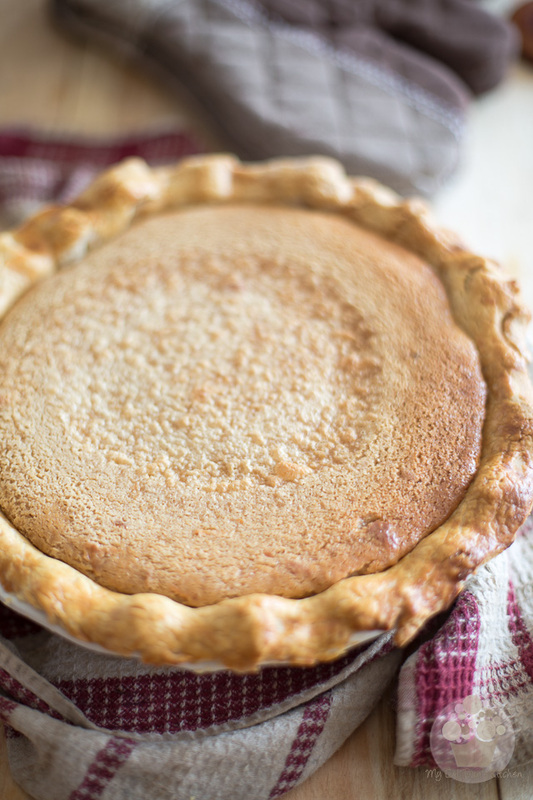 When it comes to brown sugar pie, I’m a traditional kinda girl. I’m all for that thick, creamy and velvety smooth filling. I’ve tried many recipes over the year, but this one right here would be my ultimate favorite. 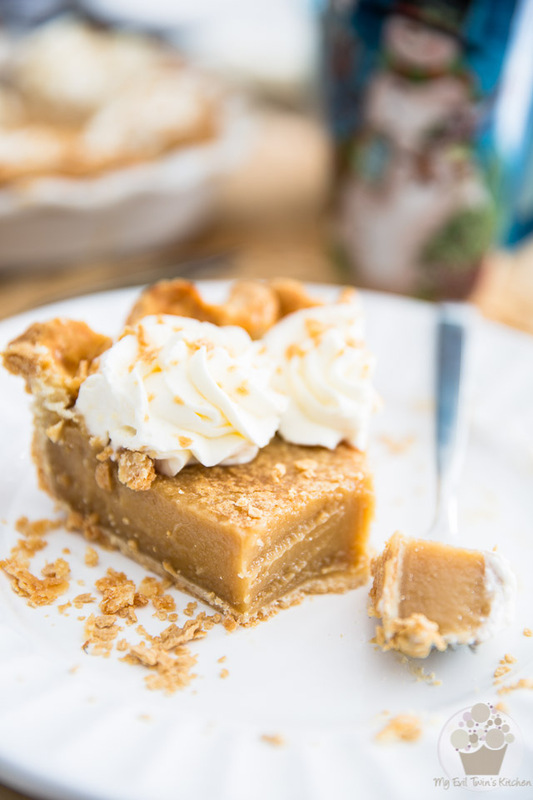 Whenever I make it, get nothing but rave reviews — every single person who is lucky enough for me to share a slice with them says that this is the best darn sugar pie that they have ever eaten. Even my son, who doesn’t have much of a sweet tooth at all, totally devours it. 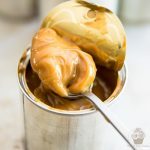 It’s so smooth and silky and creamy and sweet but not all that sweet in the strangest kind of way. 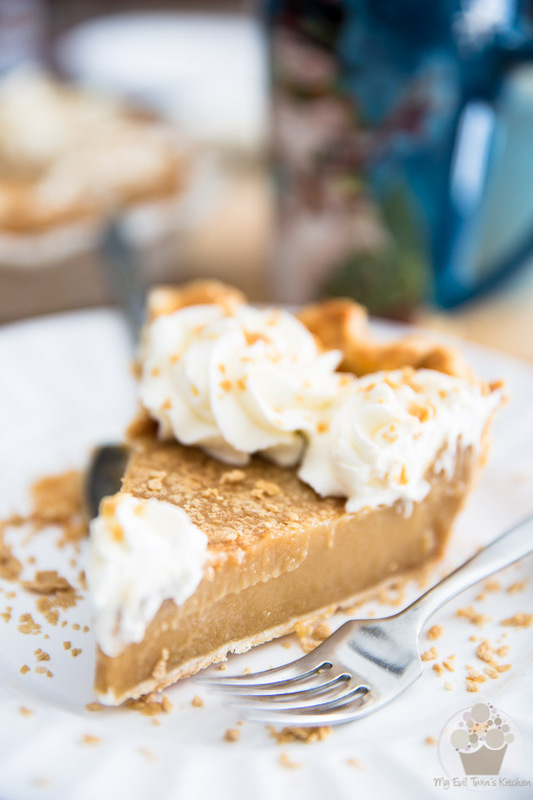 Biting into a slice of this pie is like going through a moment of pure bliss that you wish would never have to end. 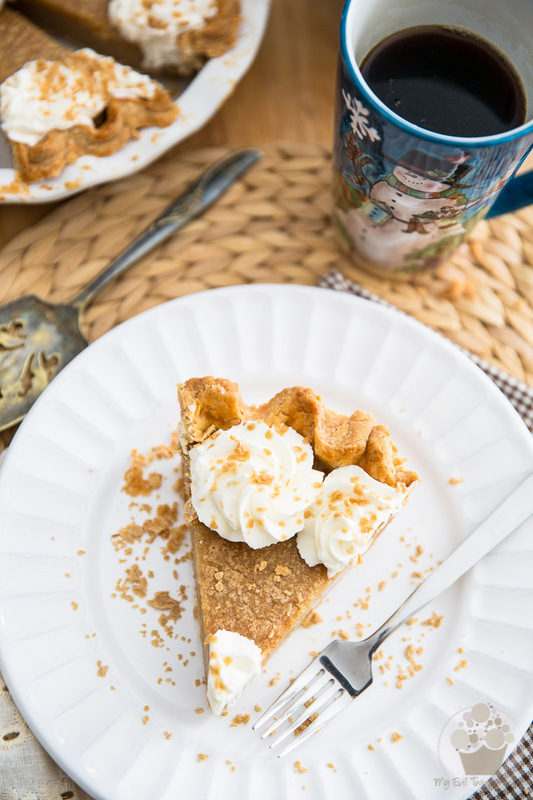 Let me tell you, this pie is so deliciously sinful, it’s totally worthy of being saved for the most beautiful morning of all! And you can be sure that I have one of these babies all good and ready and patiently waiting for me in the fridge. Oh, I am so looking forward to Christmas morning! Until then, I hope you all have a magical Christmas day, filled with all kinds of pies and cakes and sweets and treats, but most of all, love and hugs and loads and loads of treasured moments with your family, friends and loved ones. So start by rolling out the pie dough, then grease a deep dish pie plate and press the pie shell into it. 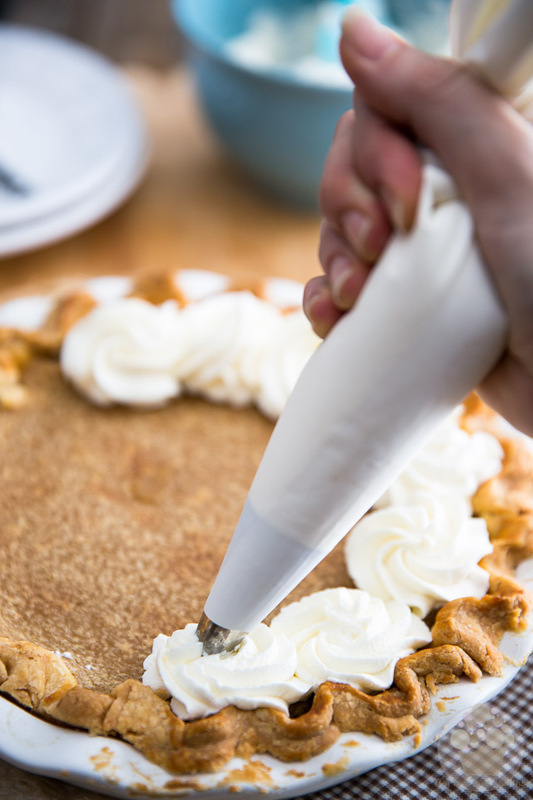 Set aside to rest while you work on the filling. 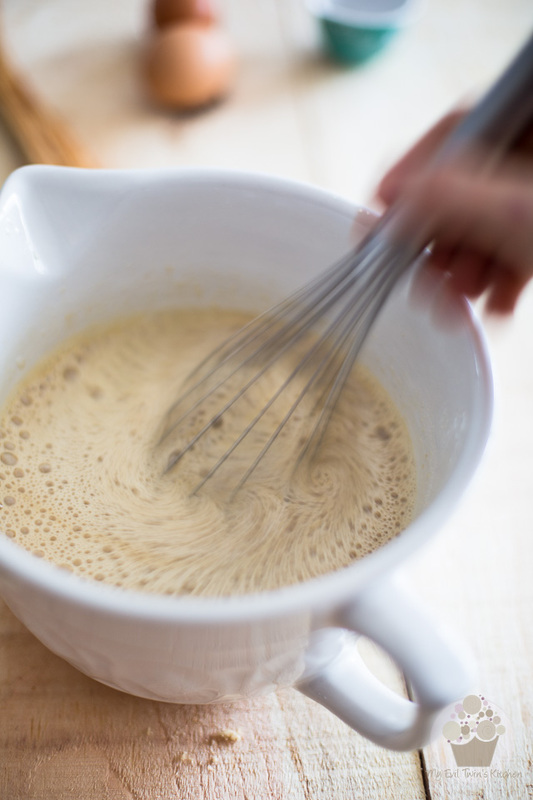 And now mix delicately with a whisk until very well combined and no longer frothy on top. 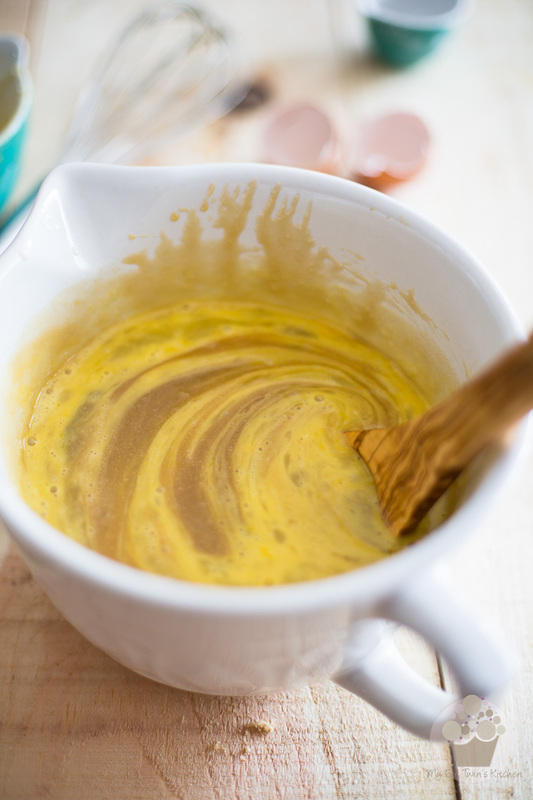 Don’t go whisking super vigorously, we’re not wanting to incorporate any air into the mix. 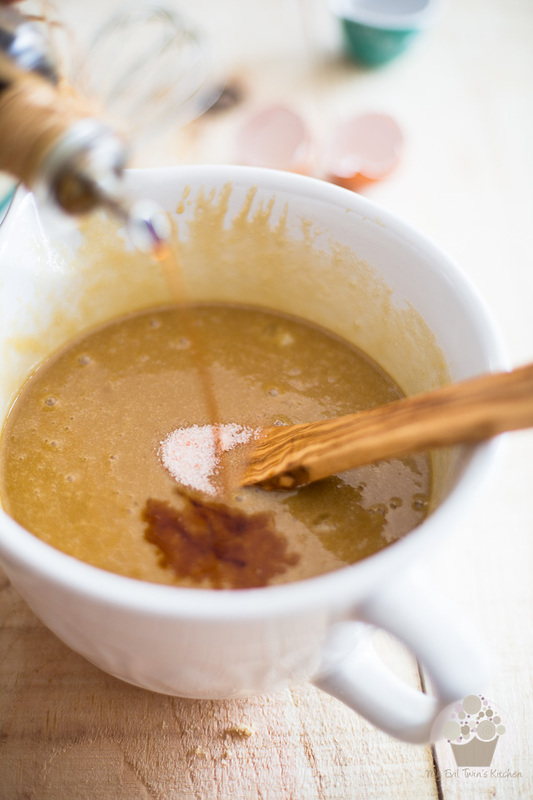 We just want all those ingredients to meld and that froth to go away. See? All the froth is gone. That already looks so good! Time to add the beaten eggs and stir them in with a wooden spoon. I don’t recommend using a whisk here, as you don’t want to incorporate any air into the mixture. Again, you just want to get all the ingredients nicely combined. Once the eggs have been incorporated, throw in the salt and vanilla extract and stir until combined. At this point, if time permits, let the sugar mixture rest at room temperature for 30 minutes. 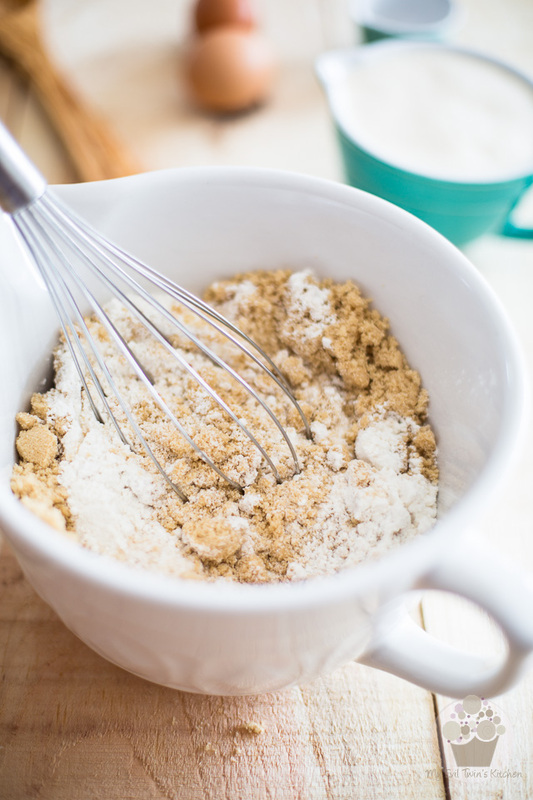 Doing so allows the gluten to relax and the sugar to dissolve, resulting in a much smoother, creamier filling. Really, stay away. Gotta save some of that stuff for the pie! 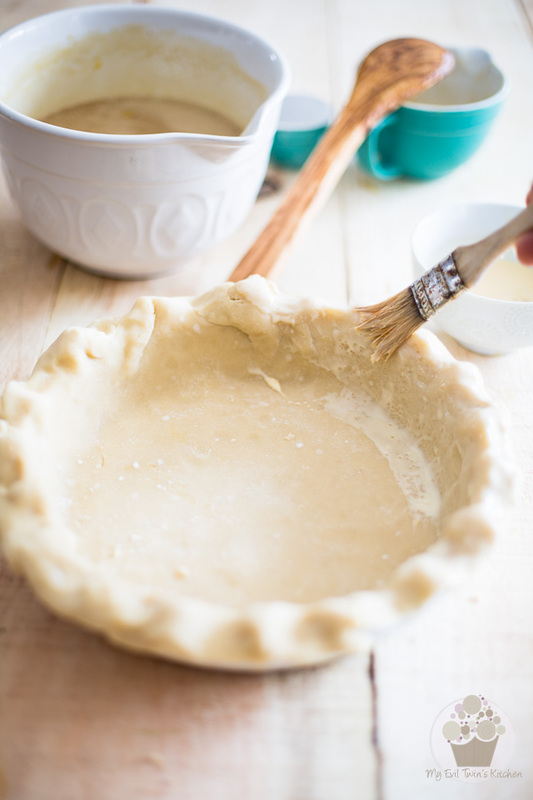 Then, brush the pie crust with a bit of heavy cream, or an egg beaten with a few tablespoons of milk if you prefer. Both mixtures will ensure that your crust gets beautiful and golden brown and has a little bit of a sheen to it. 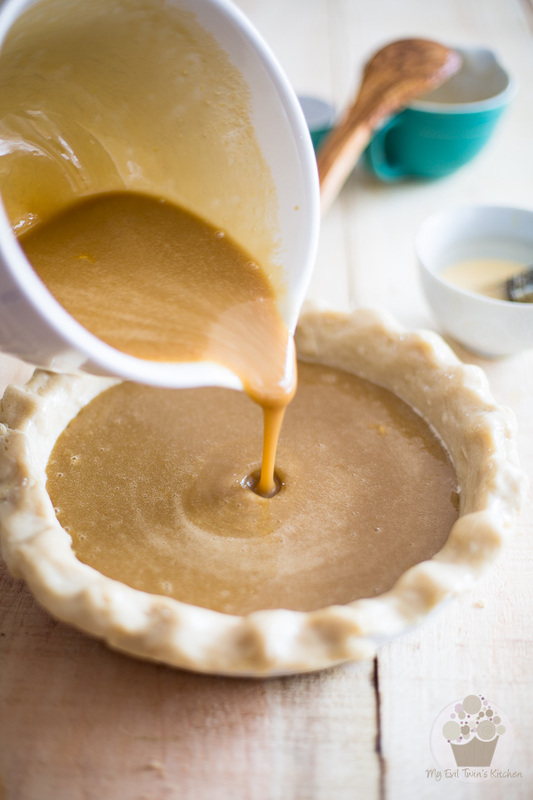 When the sugar mixture is done resting, carefully pour it in the pie shell. 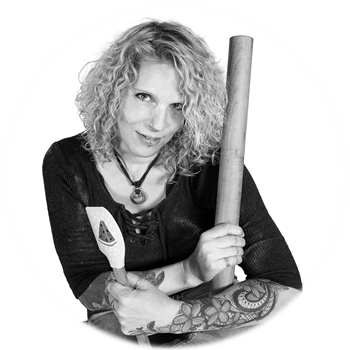 Bake your pie in the oven for 60 minutes, then kill the heat, leave the oven door ajar and let the pie to cool in the oven until you can safely handle it with your bare hands. 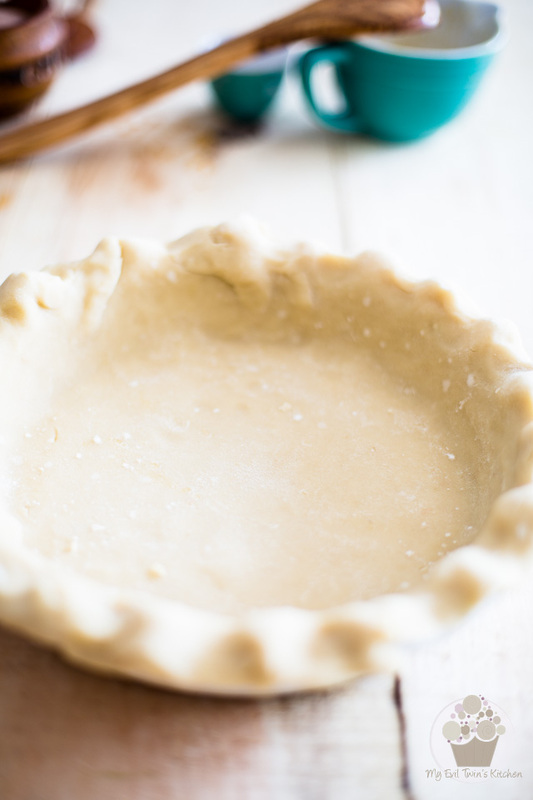 Transfer the pie to the refrigerator and allow to cool completely. Garnish with whipped cream and pure maple sugar flakes at the moment of serving, if desired. Want my advice? You should definitely desire! Grease a deep dish pie plate and press the pie shell into it. Set aside. 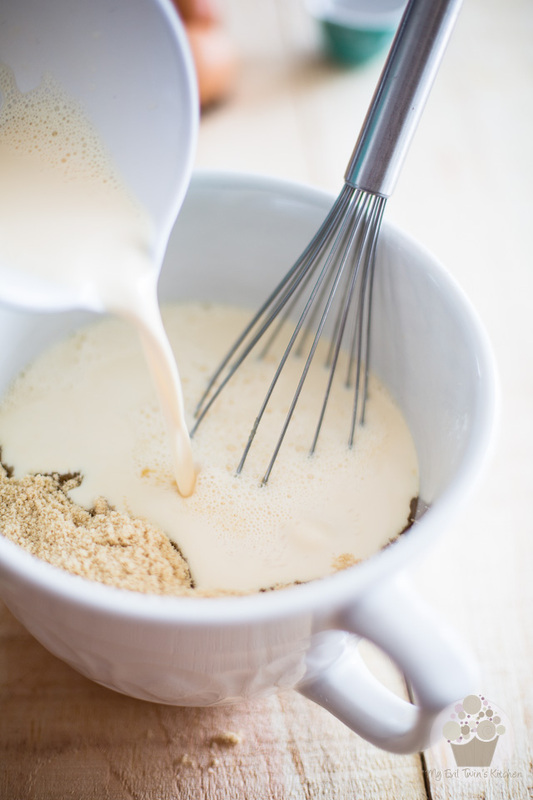 Mix the brown sugar and flour together in a large bowl; add the cream (or evaporated milk) and mix delicately until very well combined and no longer frothy on top. Add the eggs and stir them in with a wooden spoon. 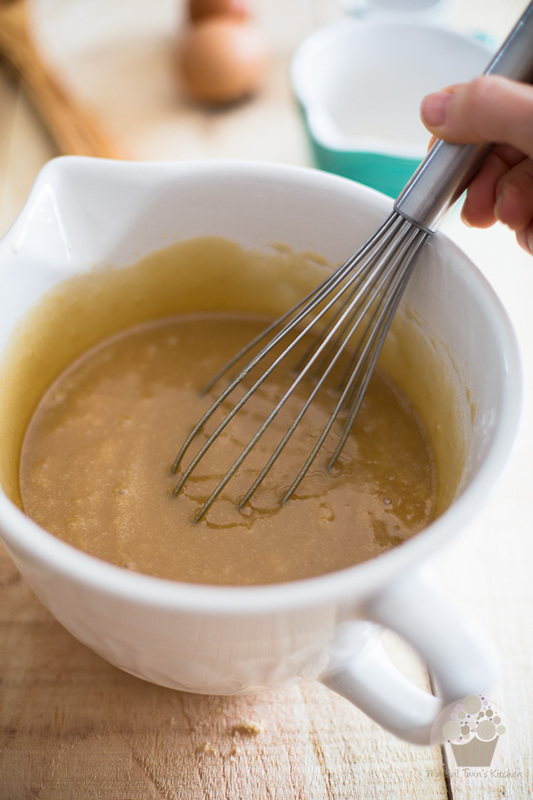 The use of a whisk is not recommended here, as you don't want to incorporate any air into the mixture. Add salt and vanilla extract and stir until completely incorporated. 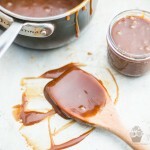 If time permits, let the sugar mixture rest at room temperature for 30 minutes. Doing so allows the gluten to relax and the sugar to dissolve, resulting in a much smoother, creamier filling. 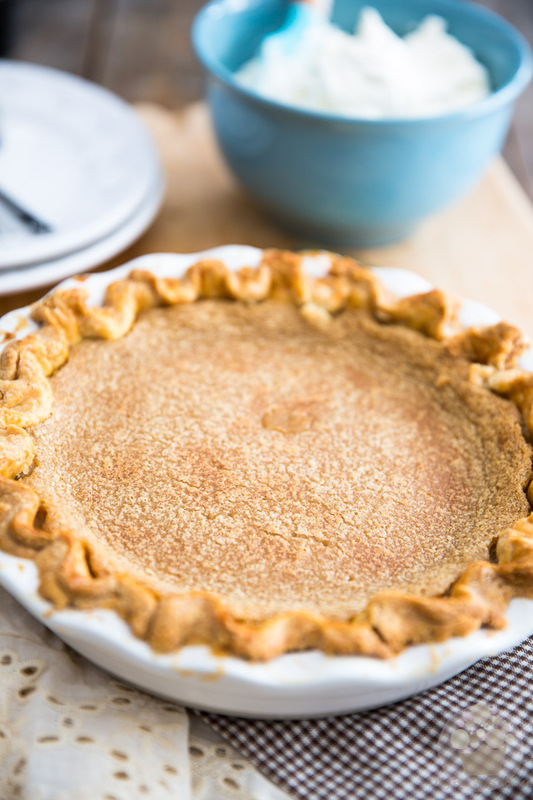 Brush the pie crust with a bit of heavy cream (or an egg beaten with a few tablespoons of milk) and carefully pour the sugar mixture in. Bake in the oven for 60 minutes, then kill the heat, leave the oven door ajar and let the pie to cool in the oven until you can safely handle it with your bare hands. Hello there! 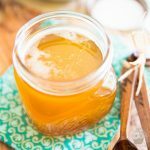 I made this recipe (really followed all the steps!) and unfortunately the filling didn’t set. It was still half liquid even after cooking it for an extra 20 mins and cooling it in the oven then fridge as you said. Any advice? The batter was still tasty but did not look like the beautiful fudgey texture in the photos. 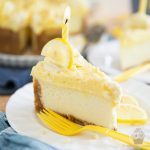 Is it really only 1/4 cup flour? Thanks! I’m really sorry to hear, Lauren! I honestly don’t know what to say… I’ve been making this exact same recipe countless times and never never had it not set like that. It really is 1/4 cup of flour. Did you perhaps use small eggs instead of the large ones the recipe calls for? Hello! Thanks for the reply. Yep, large eggs. I used 35% heavy cream not evaporated milk. Weighed all ingredients. Will try it again because it looks amazing and hopefully it will turn out! I have never heard of this type of pie that I can recall. Interesting! It coiuld have been the heavy cream that caused it not to thicken. I used heavy cream once in a corn pudding and it never set. Try it next time by the recipe to the letter. I made it for Christmss 2018 and everybody in my family found that pie so good they cant beleive i have made it. And when they admit it yet my mother tell me that this pie was better than the one she does. Haha! I’m very flattered! Thanks much for that, JP, and a Happy New Year to you and yours!